We picked fruit today from the trees in our yard. This morning after I walked the dogs I had an apricot that was slightly warm from the morning sun. I felt a bit like I was in an advertisement; it was surreal. Then later we picked cherries – buckets of them. We pitted cherries till our palms hurt from pushing the pitter. We put cherries in the freezer. We made cherry jelly. And I baked cherry clafoutis which we took to a potluck dinner. There are still buckets of cherries in the fridge for eating! It’s like we have hit the cherry jackpot and the winnings just keep rolling in! I don’t want to sound like I am a child of the Depression, but I have to admit that the abundance of such food on our doorstep is daunting. It is humbling to know that you have more than enough and at the same time there is an odd sense of duty in me that says I should not waste it. (Perhaps that might help explain why we turned our kitchen into an assembly line today!) 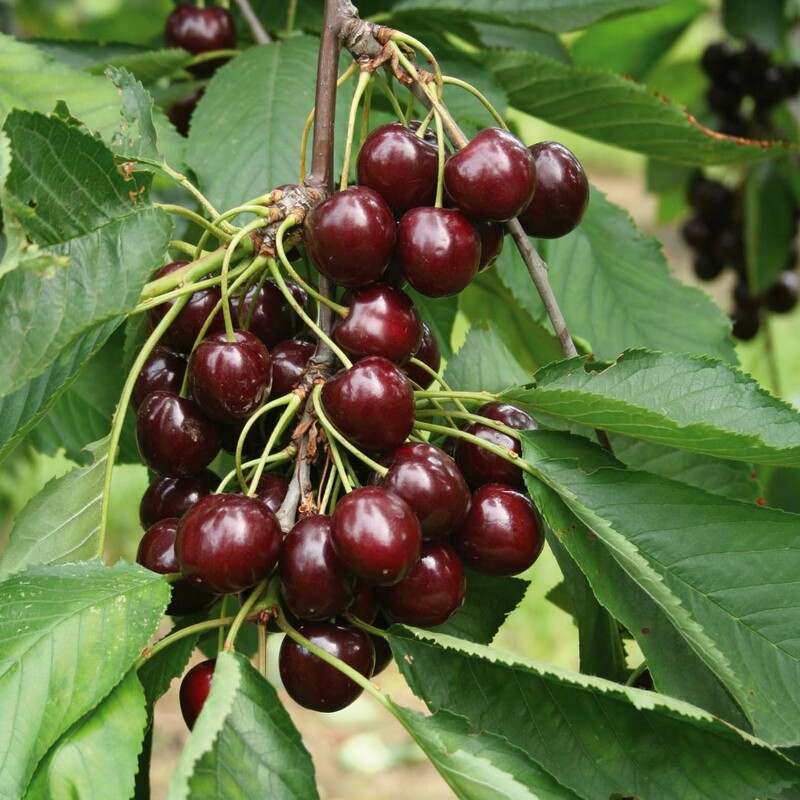 I remember cherries being a rarity when I grew up; they were the most expensive fruit other than tropical varieties – and those were not something we bought unless for a special occasion. My Mom loves cherries, but she taught us that they were a treat to be savoured, not a food to gorge on (you know, “One for the bucket, one for me, one for the bucket, two for me…”) It was like a special reward today to be able to enjoy our very own bounty and to share it with others. Decadence can be a simple thing, it seems. There was also a decadence to watching Martin and Chloae from the window, swapping stories as they filled their buckets. Father-daughter time is something else that is a rarity these days and it too should be cherished. I have many such memories to keep in my heart, and with my Dad gone I am glad for every one of them and wish there could have been more. It seems a very fitting saying, that expression that “life is a bowl of cherries” when things are going well. The joy of being able to appreciate good things in abundance is special; it reminds us that we are fortunate, and fuels us for the days when we feel down. I am so glad we really got to live that saying today. My Mom is still around and she still loves cherries. I is currently staying with us, so she will have her fill too! I hope you get to enjoy time for some cherries this weekend. 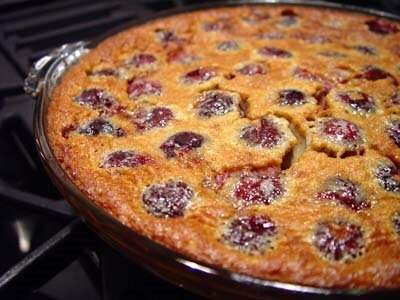 If you would like to make your own Cherry Clafoutis, click on the link for the recipe.